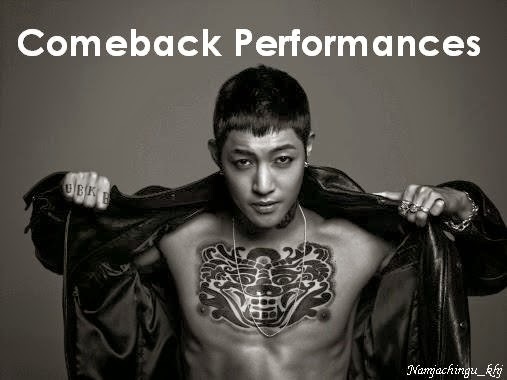 Okay, so I've seen a lot of blogs already posted the methods and ways on how to support Hyun Joong this time to make his 3rd Album number 1 and to let him win in music shows. If you haven't read it yet, you may click HERE or HERE. They provide step by step instructions in making IDs for Bugs, Melon, me2day, etc. The one that I'm about to post is for those international fans who wants to take part on this support for Hyun Joong. It's a known fact that he has a lot of international fans but we are having a hard time participating sometimes in Korean sites as we have limited knowledge in Korean language. Now, our voices and votes can be counted with this way. ^^ Thanks to @howlovelylala for providing the information. ^^ I am positive he can win this as long we all unite as one. I wanted to say to myself that if he wins, we all helped him to win. ^^ Triple S and Henecia we can do this! 김현중 세 앨범에 'Round 3' 화이팅!!!!! SBS INKIGAYO counts 35% - SNS points (YouTube views & Twitter mention) that we international fans take part in. As soon as KHJ's album is released, we need to mention his Korean full name, song title 'as many as we can' on every SNS account we have! Do you have Youtube, Twitter, Facebook account, right? Create me2day account now if you don't have one. You can mention / me2 (=retweet) / comment there. Also we can send directly from his news to twitter/facebook/me2day. There are icons at the bottom of the article. According to the news, KHJ planned out the promotion period for his third EP, ROUND3 to be longer compared than the ones for previous albums to show diverse side of him. I wish we all participate in what we can do, so that we can see him on TV more active/longer while this album promotion!